Chiang Mai has a thriving art scene in many media. We wanted to represent Australia at our house and consulate through a local artist. By wandering various locations we came upon a Chiang Mai street scene in the night bazar area that we liked and wanted for our residence. 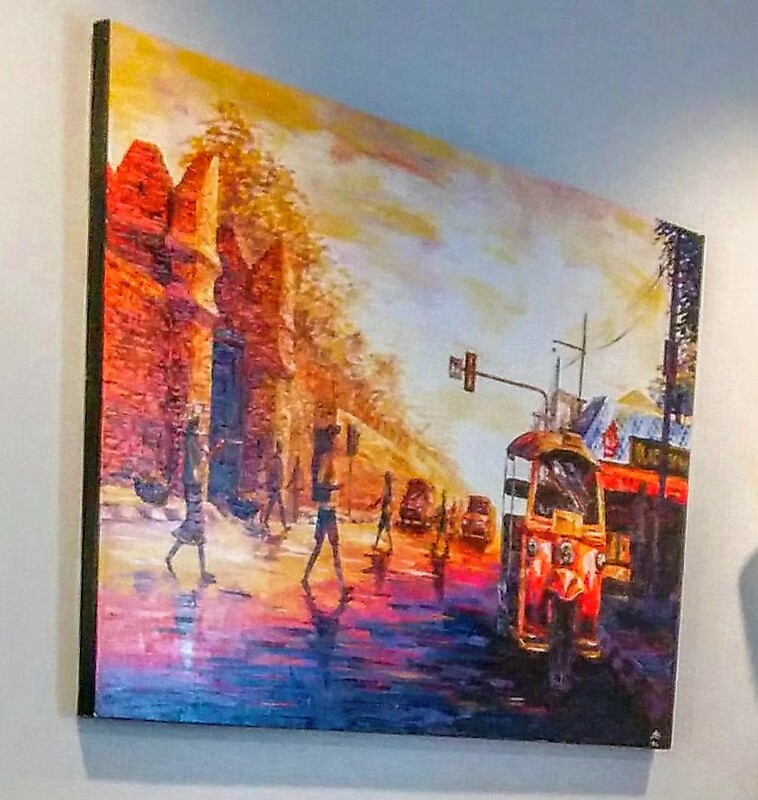 We thought it a good depiction of life today in Chiang Mai and we also like the techniques used by the artist. With his approach to painting in mind we asked if he could take a couple of photographs we had and reproduce them in his own interpretation and style for use at the consulate. Khun Aun obliged by taking on the task and producing these that are proudly displayed at the consulate/residence. They are bright and add color to the rooms – well done and thanks.